Dead Kitty | arlette knits. 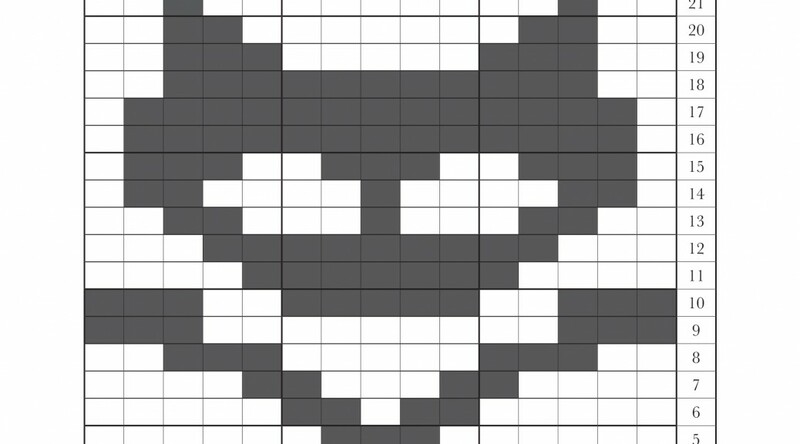 A free two-color chart for a skull-and-crossbones-themed cat face. Get the PDF for free on Ravelry!